Our school guarantees a team of young and professional instructors with years of experience in the field of windsurfing and all the disciplines proposed. Each member of the team is certified by VDWS instructor to ensure the highest standards of safety and competence. We will study with you the most suitable program for your characteristics and needs, whether it be for leisure for a tourist activity in the territory or for more professional learning in sports. 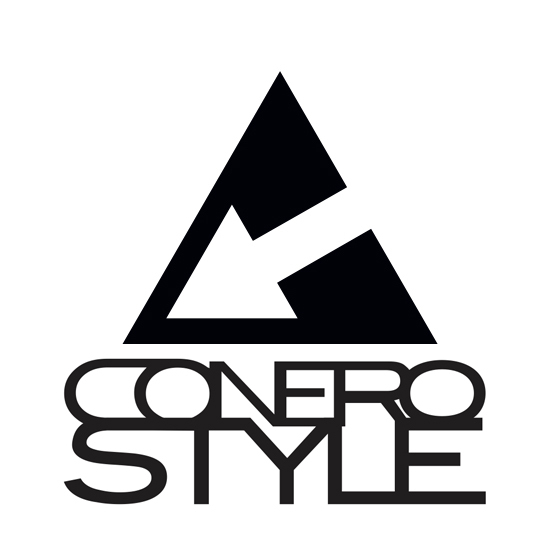 We will be happy to train our students to perfection, adapting the most suitable format for every student who wishes to become a new member of the Conerostyle family. For friends ``Reca``, born in 1998, despite his young age he is one of the instructors with more seasons behind him. 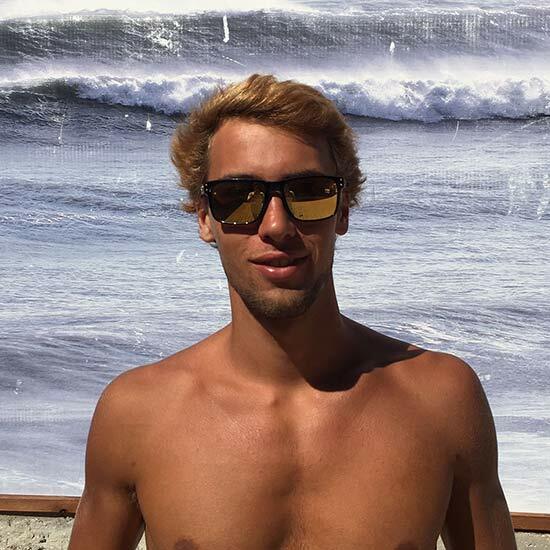 Surfer from birth, between one wave and the other he devoted himself to the study of economics. 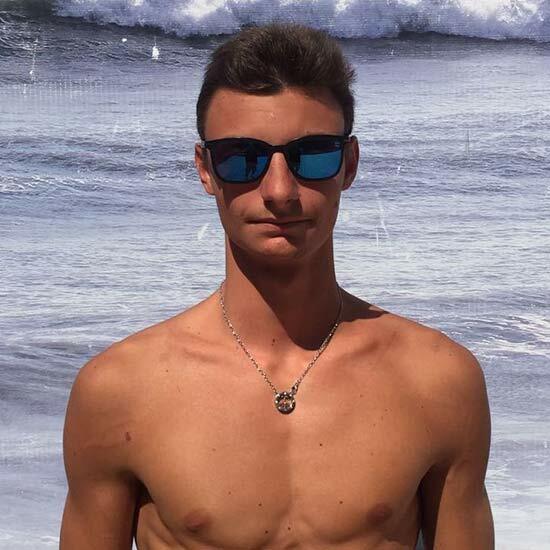 Also called ``Proca`` or even ``Principino``, born in 1998, from an early age he made Portonovo his playground, even if he devoted himself to his studies he did not miss a sea storm. Known by all as ``Lupo``, he is the son of one of the pillars of windsurfing in Portonovo. The most experienced windsurf instructor in the team is also a mountain bike FCI teacher. ``Cippo`` is the evil mind creator of Conerostyle, carved from butter loves only pastarelle as windsurfing, just for this is very sweet with children. 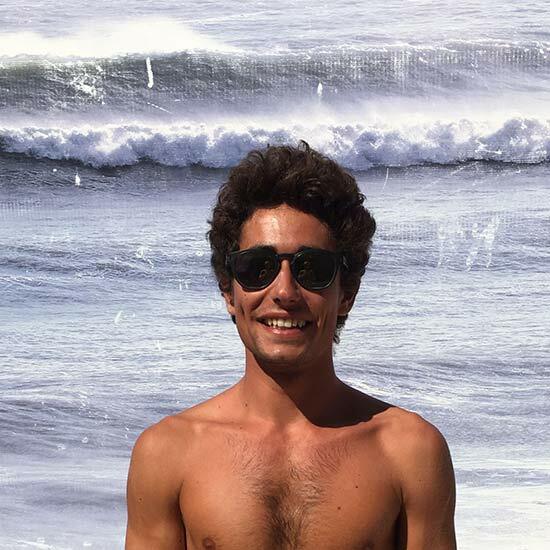 Our little and muscular ``Gigi`` since 1990 has recently changed his life to dedicate himself to windsurfing. A freestyle enthusiast, he is a very technical and easygoing instructor. ``Nico`` the only woman within the group, must fight every day to survive the rest of the team. After years of student at our school finally she is also part of our team. Our ``lizard`` is the future engineer of Conerostyle, but is already able to show you every little detail of the techniques of all sports.